Order within the next... 23 hours, 32 minutes, 39 seconds ...for dispatch tomorrow! 36mm Greek Olive Wood counters finished in a half-gloss lacquer. The darker counters are stained red, while the lighter stones show the natural grain of the wood. 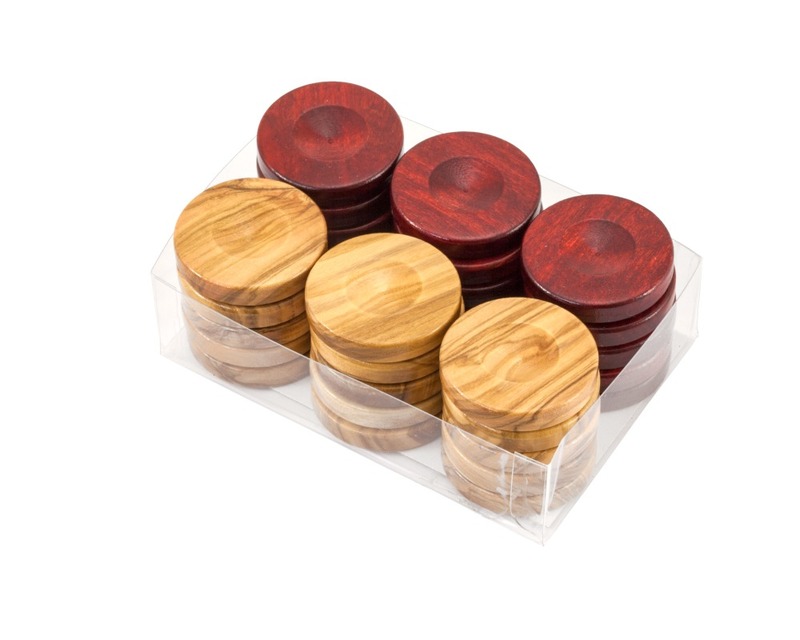 Perfect for tournament size backgammon sets of 18 inches and above.